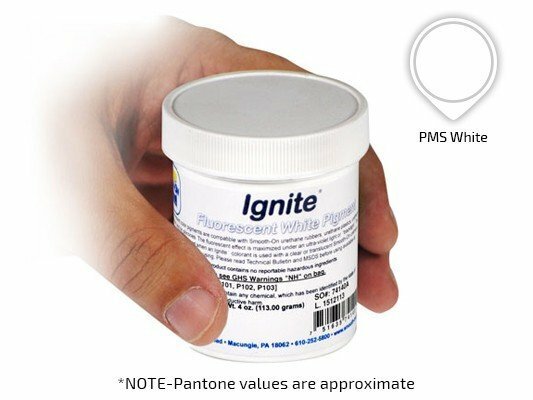 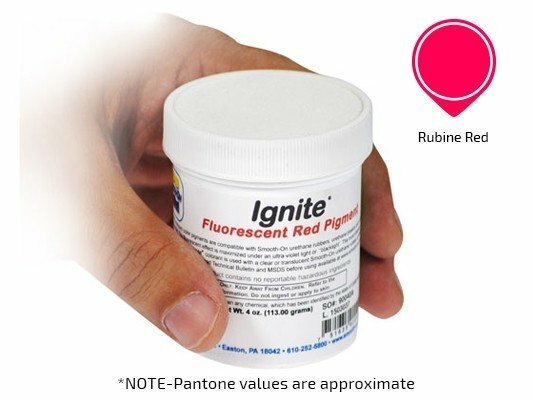 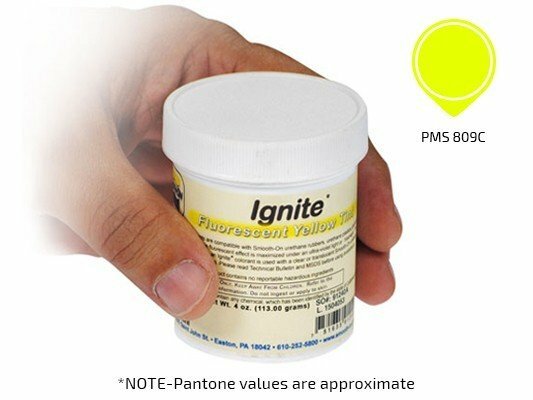 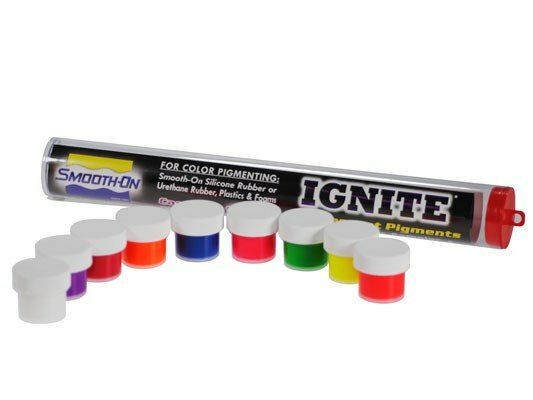 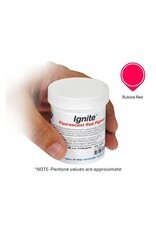 The Ignite line of liquid fluorescent colorants is compatible with Smooth-On urethane rubbers, urethane plastics, urethane foams (rigid and flexible) and silicones. The fluorescent or "glow" effect is maximized under ultra-violet light or "black light." 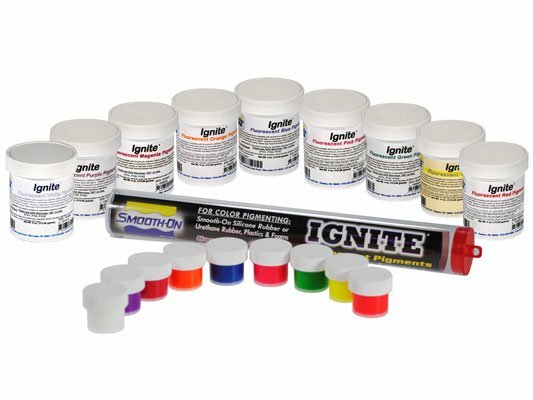 The most dramatic color effect is realized when an Ignite colorant is used with a clear or translucent urethane rubber (such as Clear Flex 50) or plastic (such as Smooth-Cast 325). 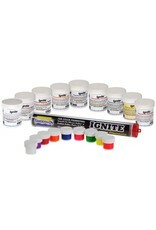 The NEW Ignite 9 pack gives you the opportunity to experience each color without spending a lot of money. 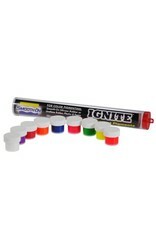 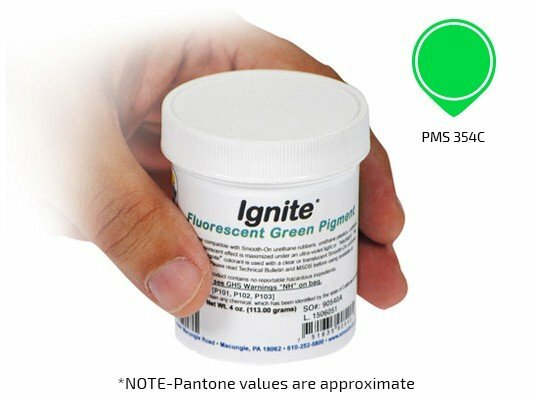 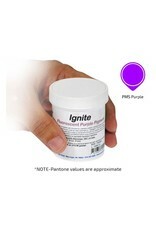 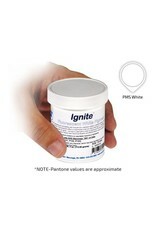 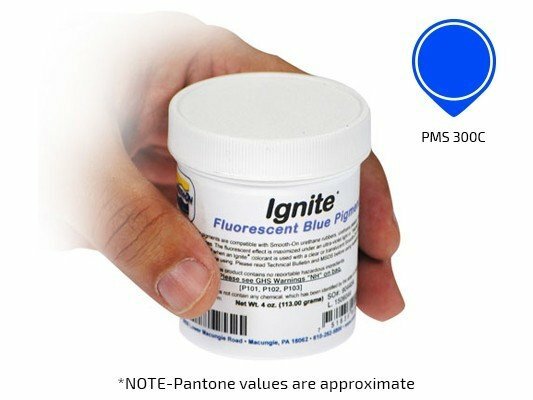 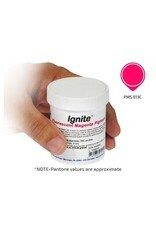 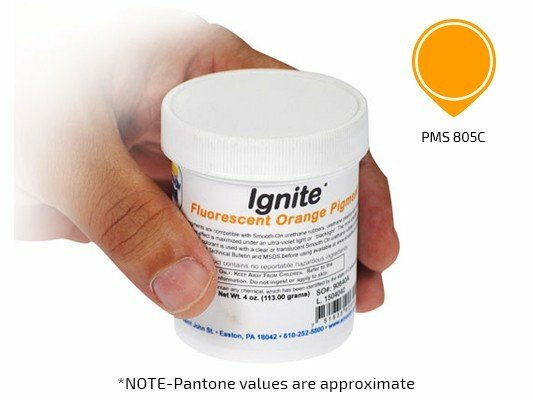 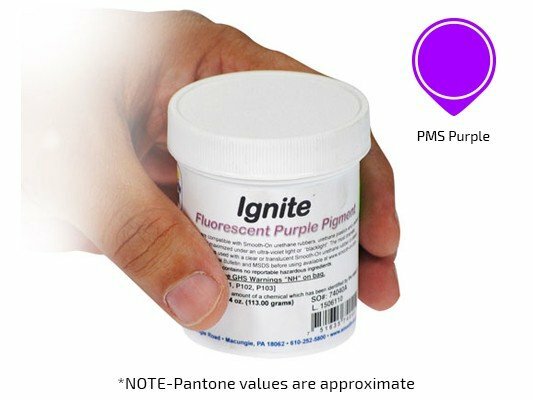 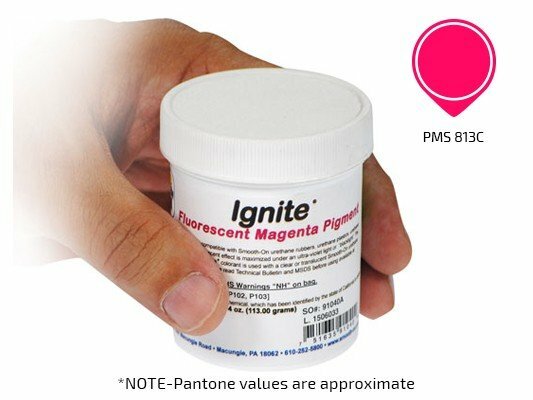 What Makes Castings Made With Ignite Pigments Appear To Glow? 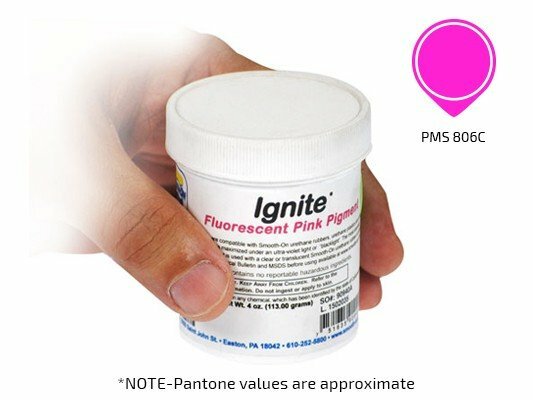 When you add Ignite fluorescent color to a urethane material, more ultraviolet light from the cured material is visible to your eye vs. castings made with SO Strong colorants. 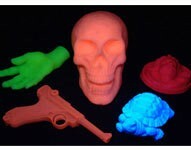 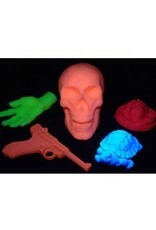 The casting appears brighter in ambient light and appears to glow under ultraviolet light.